We cannot stay on the air without the support of our listeners. Listen to The Sword on your computer, now. Submit your request for prayer on "Morning Prayer and Praise." Please read our Station Update to learn how best to access our streaming audio. KSWZ-LP, The Sword, is a low-powered FM station broadcasting at a frequency of 105.3 . As is true of all LPFM stations, The Sword is non-commercial. That means it relies entirely on its listeners' donations and underwriting for financial support. 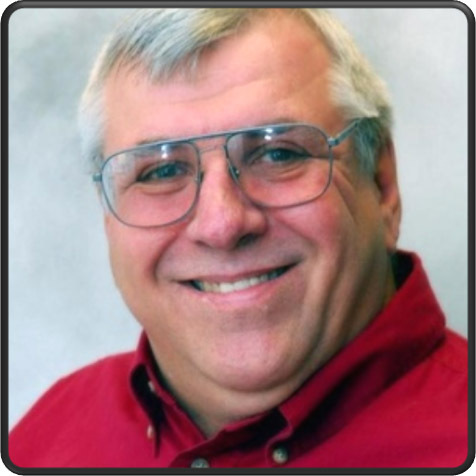 Veteran radio broadcaster, Lee O'Day, joins us as our programming director and on-air personality. Being an EWTN affiliate station, Lee has access to all of EWTN's radio programs and has chosen from their very best of to craft our line-up. Completing the line-up , Lee will be producing Morning Prayer and Praise, featuring daily Mass readings and prayer from the Daily Office. In the evenings he'll air the Family Rosary for Peace, which will feature families throughout the area praying a decade of the rosary. This will be a work in progress as new families are added. The Sword's over-the-air footprint has the potential to reach about 70,000 souls with God's Word. See the coverage map. Within this area are thousands of young, college-aged adults whose formation may be shaped, in part, by Catholic radio before they go out to make their own impact on our society and our parishes. On the internet, the potential is unlimited. Listen Live on your computer or download the apps for your iOS device or Android. We are everywhere you are. Leveraging this accessibility, The Sword is poised to become the regional voice of Catholic radio to the 9 counties of the western Archdiocese of Kansas City, in KS and beyond. Click on the PROGRAMS tab in our menu to see our full schedule and to learn more about receiving our programs. We are very excited that we are now available on internet radios, as well. It is a great way to get a clear connection via the internet on a device much like your "tradition" radio. There is a special page listed under HELP with more information! Please help us. Pray for the station and all those involved in the managing and operating it. Spread the word! Follow us on Facebook and share us with your friends. Finally, the station will not survive without donations. Please, prayerfully consider a donation. All donations are tax-deductible. Alexa powered Echo devices can utilize a huge number of "Skills" to add versatility to the device. By default the newer devices have a handful of music services already registered. Among those is TuneIn, with whom The Sword is registered. 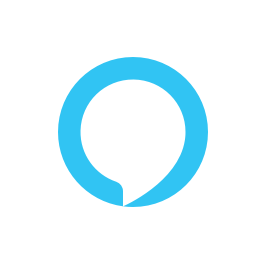 You can probably already ask, “Alexa, play KSWZ on Tunein.” Or perhaps, “Alexa, play KSWZ.” But, the wording needs to be pretty precise. 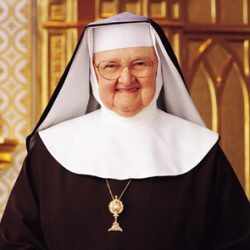 Classic editions of Mother Angelica's TV show.